For anyone keen on Indigenous languages, language revitalization and the International Year of Indigenous Languages (2019 at its finest! 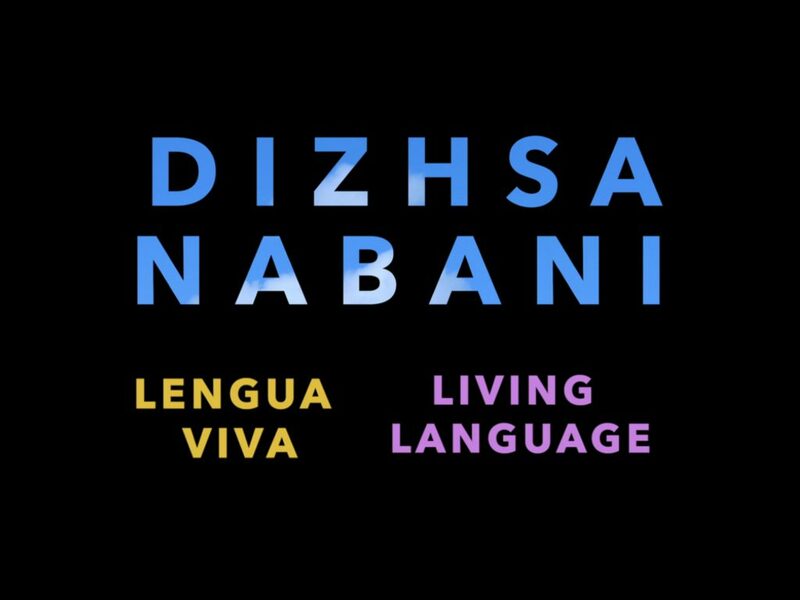 ), this conversation spotlights a favorite new video series: Dizhsa Nabani = Lengua Viva = Living Language, a documentary project on Zapotec language and identity in San Jerónimo Tlacochahuaya, Oaxaca, Mexico. Thank you, thank you, thank you to the participants and producers. Please show more! Here’s what we love: The episodes show the Zapotec language in use. The voices are we hear are locals. All of this is presented in cinematic style. The documentarians are accomplished videographers and editors. If there are awards for small budget streaming Indigenous language documentary series or for alternative Oaxaca promotion, then Dizhsa Nabani is on the top of our 2018 list. What we love: The faces of friends in San Jerónimo Tlacochahuaya, Oaxaca, Mexico. Watching and listening to language spoken by locals. For those keen on finding Mexico on the Web, Dizhsa Nabani is one of the highlights of 2018 and now 2019, the International Year of Indigenous Languages. 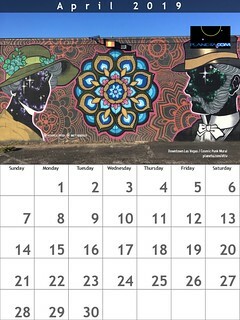 The series is featured in February 2019 at the Smithsonian’s Living Language festival. Dizhsa Nabani – Living Language was made possible by Haverford College’s DocuLabs Program, a joint initiative of VCAM and the John B. Hurford ’60 Center for the Arts and Humanities. Antonio García Crúz explains how the Zapotec development of plowing with bulls is beneficial for corn farming as Bernardo Gutiérrez Hernández walks tub nes gu’n through the milpa. We try to keep up with Angelica Guzmán Martínez as she saunters through the Mercado Municipal in Tlacolula de Matamoros, Oaxaca. She shows us what she sells, how she barters, and how it’s related to her identity as una Zunni. José Angeles Martinez, known mainly as Maestro Pepe, never planned to be a musician but now he leads an entire band and is teaching a new generation of musicos dedicated to the style of music born in San Jeronimo. Pablo Sernas Hernández untangles the threads of Zapotec and Spanish culture in the Danza de la Pluma as well as those used to create the magnificent coron he and other community dancers don for their conquist performances. Angelica Guzmán Martinez hasn’t used her metate to grind chuculat in 41 years but she can recall every step of this Zapotec process of chocolate making as if it was yesterday. Gabriela Morales Crúz welcomes us into her printmaking workshop in Teotitlan del Valle and into the complexity of her identity as she moves through different spaces as Oaxaqueña, Zapotec, mujer, educator, artist and printmaker. Through conversations with bën za, we learn about the range of reasons people identify as Zapotec. We listen to diverse experiences including those of Pablo Sernas Hernández, who– at 40 years old– is the youngest speaker of Zapotec in Zunniro. Language Activist Head of the office of Cultural Affairs in Tlacochahuaya. Work includes a series of videos on YouTube, a co-authored online Talking Dictionary. He also serves as a board member to the Ticha Project. He hopes to raise awareness on the importance of language preservation as an element of cultural identity in the state of Oaxaca. Follow him on Twitter at @BnZunni. Chicago and Mexico City based producer, educator and creative consultant working at the intersection of arts, media and social justice for over ten years. Official spin: Dizhsa Nabani explores the relationship between Zapotec identity, language and daily life. Zapotec languages are considered threatened as they are being acquired as native languages by fewer and fewer people. Community and individual identity are entwined with language, especially in Mexico, where criteria for self-identifying as belonging to an indigenous community usually includes speaking the corresponding language. Most Zapotec people today are bilingual, and under pressure from anti-indigenous discrimination, many choose to use Spanish in contexts that were previously reserved as Zapotec-language domains, including the home, the market, and town meetings. Given this sociolinguistic context, speaking Zapotec can be seen as an act of resistance. 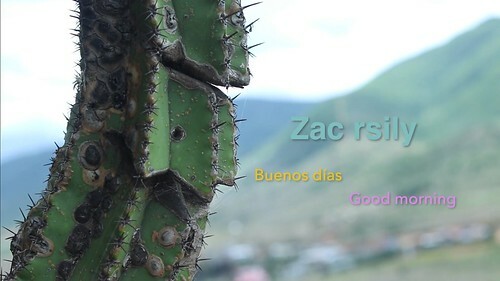 The goal of this web-based documentary series is to explore how language is interwoven with identity and with the vitality of the Zapotec community in San Jerónimo Tlacochahuaya, including the relationship between language and traditional farming, cooking techniques, and artistic performance and creation.